to support this year’s African Legends Night. company’s vision of keeping the Ghanaian dream alive on the back of its expansions and acquisitions of new portfolios. 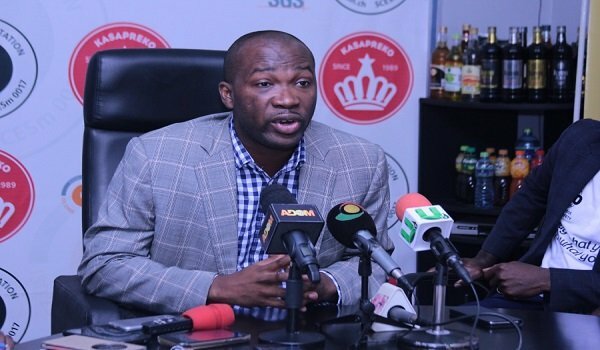 Kasapreko in recent times has made millions of dollar investments to expand it production lines becoming a total Ghanaian-owned beverage firm manufacturing wide range of both alcoholic and non-alcoholic drinks. Distell Company namely Savannah Cider, Hunters Dry, Knights Whiskey and several others. becoming the Ghanaian beverage breaking African frontiers. Kasapreko, which has expanded its territory beyond the shores of West Africa, has been at the forefront of championing African success and culture. It is only when Africans appreciate their own that the world will begin to see the good things on the continent, according to him. manufacturer announced a sponsorship package for this year’s African Legends Night. He further commended Ghanaians for supporting the growth of Kasapreko over the past 30 years. supported by its sister brands as Awake Water, Storm Energy, Alomo Silver, Savannah Cider. “We always sponsor African Legends Night because we believe in the powerful message music sends across the world by way of telling the African story within the proper context. African music has come a long way and it is in the right order to celebrate it with great icons,” Mr. Adjei added. This year’s African Legends Night will take place on Saturday, September 29th at Kempinski Hotel. It would feature music legends such as Daddy Lumba, Kojo Antwi and Samini as well as the Wulomei band.